24081 works the first train of the day on Sunday 5 April 2009, during the Gloucestershire Warwickshire Railway's Spring Diesel Gala. 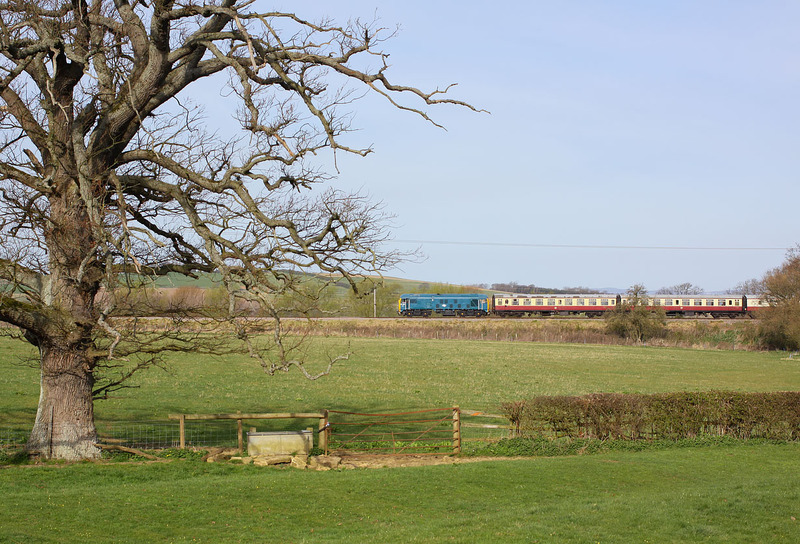 It is pictured passing Didbrook with the 09:30 Toddington to Cheltenham Racecourse service. A cow had been standing near the fence in the foreground just before the train came and would have added foreground interest to the picture, but for the fact that it kept presenting its rear end towards the camera! However, just before the train appeared it obviously got bored with that particular area of grass and wandered out of the picture completely.